When Joshua and the Israelites came out from wandering the desert, God caused the Jordan River to part so they could pass over. He instructed twelve men from each tribe to pick up a stone in the middle of the river as a memorial of how God allowed them to walk across the riverbed during its flood stage. Keeping a prayer journal is the same kind of memorial for you and your children of how God has been good to your family. There’s so much that happens in a lifetime and sometimes we forget about the goodness and faithfulness of God. The prayer journal serves not only as a reminder but also as a way of strengthening your faith when you face more trials in this lifetime. The prayer journal serves not only as a reminder but also as a way of strengthening your faith when you face more trials in this lifetime. Have you ever started with good intentions to eat right and exercise, but then later you fizzle into your old habits and routines? Many of us begin with a prayer journal, but soon its gathering dust on an end table. Our prayer journey should begin with asking God to give us the perseverance to follow through what we plan to do. Through God’s amazing grace, He will prompt you to write down the necessary facts that you may forget later. “Lord, I love the house where you live, the place where your glory dwells” (Psalm 26:8). Finding the right place may be just as difficult as finding the right time to write in your journal. Be sensitive to the leading of the Holy Spirit for the best place to reflect and meditate. It may be early in the morning, late at night, or you may use a lunch break once a week to fast and write in your prayer journal. The awesome revelation is that the “place” where you meet God is wherever you are! The Holy Spirit will direct you to the scriptures that speak most closely to your request. This isn’t forcing a scripture to bring out the outcome you desire. Rather it’s humbly submitting your will to God’s will. Many times the Holy Spirit will quicken your heart to pray in a different direction. You will rejoice in the answered prayer that flows with the word of God. “Always giving thanks to God the Father for everything, in the name of our Lord Jesus Christ” (Ephesians 5:20). It’s our nature to write out a laundry list of requests to God without giving the first thought to what we can thank Him for in our situation. There is always grace in every crisis because the Lord tempers our trials with the power to sustain us. Think carefully and deeply over your prayer request before you write it out. Find those bursts of grace moments that you can give thanks to God. “Jesus stopped and called them. ‘What do you want me to do for you?’ he asked” (Matthew 20:32). Wouldn’t it be evident that the blind men were calling out to Jesus for healing? Yet Jesus asked them what they wanted. When we write our requests down with all the specifics, we know what we have asked and therefore—we will know when our prayers have been answered. When God shows His glory through our answered prayers, we experience a greater faith in Him. Because you know that God will answer your prayer request…praise Him in advance! Proclaim God for who He is—awesome, wonderful, faithful, generous, mighty, and holy. Use the book of Psalms as a starting guideline for praising God. Find the names of God that correlate with your prayer requests. For example, if you are praying about a sickness—praise God for being the true Healer. The most important step but the one many of us forget is to go back and write how God answered our prayers. By doing so, we give our families something to look back on and continue the legacy of faith. David’s faith was strengthened against Goliath when he shared about killing the lion and bear. So it is with us—our faith is renewed when we read back over our journals and reflect on God’s deliverance. Keeping a prayer journal doesn’t take as much time as it does effort. We must continue to strive in the habit of remembering the Lord’s help in our lives and share it especially with those in our families. The Lord uses our miracles to build up the faith and courage of others. 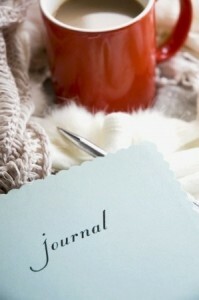 Take the time today to begin a lifetime of journaling. Great tips! Thank you God bless and hope everyone starts a journal ! War Room <the movie has inspired me to start! Even a notebook would be fine. You could also use diaries as prayer journals. good guild indeed. God bless.